Most people don't think too much about wall calendars. They help you to plan things, plus you get a nice picture to look at every month. Sometime around the end of the year you pick one up at the local big-box or book store, probably while you are Christmas shopping, and it will have pictures of flowers or dogs or lighthouses or race cars. There are most likely many who say computers and smart phones have made wall calendars obsolete, along with many other things in the old-school pre-internet world. 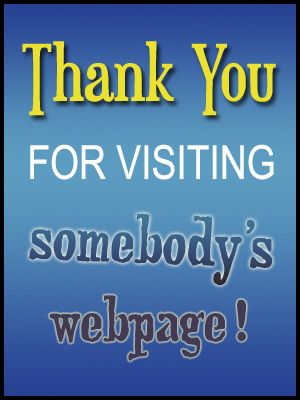 According to such conventional wisdom, CDs, books, postal mail, and physical interaction with people will soon be relegated to virtual museums and history e-books. Luckily, I'm older and fixed in my ways, so I don't think I'll be giving up my addiction to those hanging monthly planners any time soon. Yes, I am one of those hopelessly out-of-touch people without a smart phone who still buys wall calendars. I guess that kills my chances of getting a date with the T-Mobile girl, but maybe that's not such a bad thing, since I wouldn't have a clue what to say to her. For me, the process of selecting a calendar is not something to be taken lightly. A properly chosen calendar can help to define the direction of your life for the following year. Buying the same dull, predictable calendars year after year is like saying, "My life is no big deal, nothing particularly important or interesting will happen this year." So, given the importance of the task, you might be wondering what the proper technique is for selecting a calendar. The secret is to look inside yourself and let intuition be your guide. When you see the right calendar, you will know it. Go for something unique and original whenever possible. Of course, I realize that there might be people out there who delight in getting the same type of calendar year after year, and there's nothing wrong with that either. If that's what feels right to you, go for it. 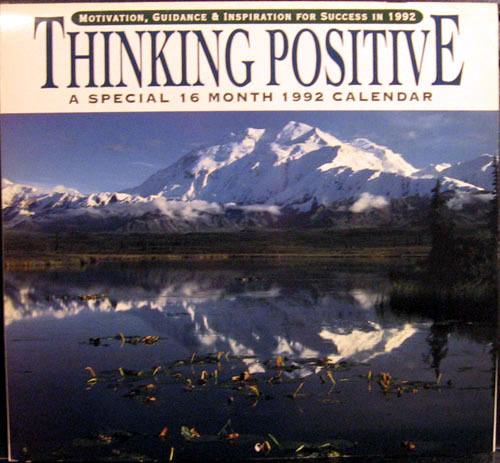 The first calendar I ever bought was a 1992 edition entitled Thinking Positive. I had recently re-enrolled at the local college -- at the urging of my then-wife -- after having dropped out for about three years, and I needed a way to keep track of my classes and activities. The calendar featured nature scenes and several inspirational quotes for each month, such as "No problem can stand the assault of sustained thinking" (Voltaire), and "Failure is the opportunity to begin again more intelligently" (Henry Ford). I liked the optimistic theme, and secretly marveled at the idea that I was important enough to own a wall calendar at the ripe young age of 26, in spite of having not achieved much in my life at that point -- or for several years beyond that point, as it would turn out. The following year my marriage fell apart for various reasons, and I was forced to drop out of college due to a lack of funds, but the tradition of buying a wall calendar, I decided, would continue regardless of my personal situation. I have now owned 20 of them, all of which I still have in my possession. It's fun to look back through them and remember where I was and what I was doing during certain years of my life. My next calendar purchase featured photos of castles. I had moved into a different apartment and was living on my own for the first time. The choice of the castle theme for 1994, I suppose, reflected my noble aspirations for the future, in spite of the fact that I had not finished college, was working two low-paying jobs in order to pay my bills, and was drinking way too much beer when I got home at night. It was a happy time for me in some ways, even though life was hard and uncertain. For the first time I felt like the master of my own fate -- I was free to make my own decisions and live the way I liked. Perhaps one day I would even have a nice house that would seem like a castle compared with the run-down old apartment building where I had taken up residence. The following year's calendar featured artwork by one of my favorite artists, Maxfield Parrish, who painted imaginative illustrations for books and magazines in the early 20th century. Apparently, I am not the only one who likes him. The calendars with Parrish's work have remained popular up to the present day. I eventually had a calendar with work by another favorite artist -- Kandinsky, the abstract painter of the famous Bauhaus school in Germany. Most places that sell calendars offer very little in the way of art themes. You always see multiple versions featuring Monet and Van Gogh, and way too many by Thomas Kinkade, but not so many by other artists. What I would really like to see are calendars with work by multiple artists, maybe with a different artist for each month. This would not only make art calendars more interesting, but would also help to promote the work of lesser-known artists. I mean, really, how much Monet can a person take? 1996 brought another interesting theme -- bridges. 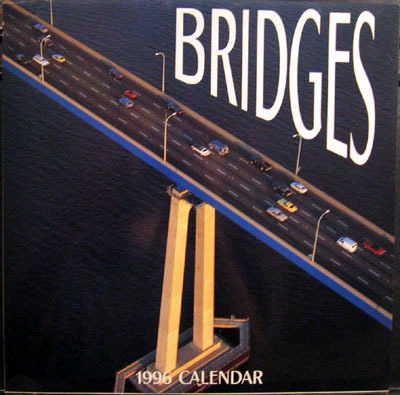 The bridge calendar was one of my favorites, not necessarily because I found bridges aesthetically pleasing, but because of the symbolic meaning they had for me. They represented transition and progress -- a way of travelling from one place to another which, if not for the bridge, would be hard to reach. When I looked at those pictures hanging on my wall, it gave me a reminder that my life was getting better, even though it was hard to believe at times. As they say in the 12-step meetings, "Life is a journey, not a destination." That was also the year I rediscovered television, and one of my favorite new shows, The X-files, was the subject of my 1997 calendar. That was definitely the creepiest one I've had, with darkly colored pages, and scenes of weird phenomena and people from the show. 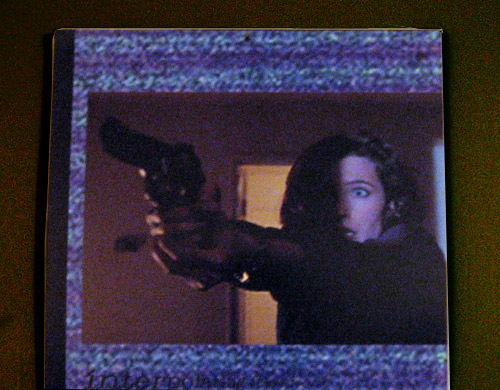 There was also a great picture of agent Scully pointing a gun and looking very scared. In retrospect, this calendar was a pretty good representation of my state of mind that year. Maps of the Ancient World seemed like an interesting calendar at the time of purchase, but I was never able to fully warm up to it. 1998 was a particularly crappy year for me as I attempted to bounce back from an ill-advised relationship with a co-worker. It was a time of great negativity and frustration for me. The ancient maps on my calendar showed continents that were badly rendered and disfigured, and made me think of how unpleasant the distant past must have been with all the poverty, sickness, wars, and misery. The recent events in my own life made me wonder if that was the normal state of human existence. In a similar vein, I also had mixed feelings about my 2002 Earth from Space calendar. This featured satellite photos of different parts of the earth's surface. The images were very colorful and pleasing to look at — similar to abstract paintings — but when I considered how high up the satellites must have been when they took the photos, it made me feel slightly disoriented and dizzy. It was as if I had mentally travelled somewhere I wasn't supposed to be, and would soon be falling back toward the earth, and would possibly burn up in the atmosphere like a rickety old space shuttle. Newsflash: You are an idiot! Quote of the month: "Relevance is a unique concept and its application is context sensitive." Just play it cool, boy! My search for a new calendar this year was a little more difficult than usual. First, I checked a small book retailer, but they didn't have much of a selection. Then, I discovered with shock that the larger book chain where I have bought my calendars for years had suddenly gone out of business. Yes, I'm sure the popularity of e-reading devices is partially to blame for this tragedy, but I'll save that topic for another day. The situation got me wondering if such a radical interruption in my calendar-buying habits was an omen of some kind, a sign that my life had reached some kind of turning point. Maybe it meant 2012 is the year I'll find a girlfriend. That would require me to clean my apartment, which would be a turning point in itself. The question of where to find a new calendar perplexed me for days. There was always Barnes and Noble, but that seemed too easy, too obvious. Finally, it occurred to me. I would travel to the fabled megamall across town, my city's equivalent of retail Disneyland. If they didn't have what I needed, nobody would. I remembered that many years ago there used to be a seasonal calendar kiosk there which carried a good selection. It seemed like a long shot, but maybe it would be there this year too. I set out for my destination one night, travelling a carefully planned route of back roads while listening to suitable mood music. After arriving, I secured a place in the ample building's never-ending sea of parking lots. I hadn't been to this particular mall in years. As I went inside, I halfway expected to see lots of vacant stores, based on my observation that the malls in this region had been in decline, and some had even shut down altogether in recent years. Surprisingly, there were lots of people shopping and very few unused store spaces. I consulted a big directory sign and was pleased to discover, instead of the old kiosk, an actual calendar store. It was probably, I reasoned, a seasonal place that sold other things at other times of the year. An encouraging sign in the window proclaimed the store to have "the largest selection of calendars on earth." True to their word, they had massive quantities of calendars. There was an entire wing devoted to various kinds of animals, with about 50 or so being dog-themed. Animal calendars have never appealed to me much, although I could see having one with birds or wild cats. I must have looked around for at least 20 minutes before making a decision. The problem I was having was that everything in the store was something I had already had owned before. I always look for something unique, and that gets more difficult after you've had 19 calendars. It's funny how little the themes have changed over the last couple of decades. I had been hoping to come across another fractal art calendar, but to no avail. Fractal art, in case you didn't know, consists of computer-generated geometric patterns that are visual representations of mathematical formulas. The colorful shapes and forms contained in these images usually remind me of various things, kind of like those old psychological ink blot tests that you see in old movies. 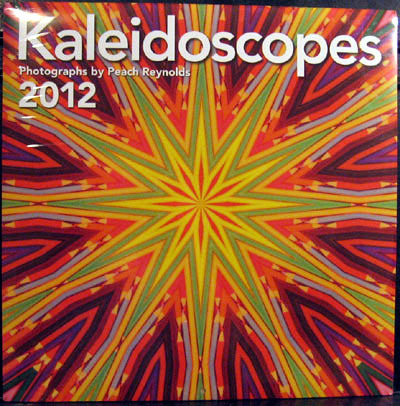 After almost giving in to a wild-weather-themed calendar with photos of tornadoes and lightning storms, I noticed one with colorful kaleidoscopic photographs which seemed very similar in spirit to fractal art. This was something new, interesting, and original. My new calendar had found me. All is well with the universe, at least until next year. I have now rambled on about calendars for longer than anybody should, and if you made it all the way to the end of this column, I congratulate you for your determination and strength of spirit. You should reward yourself with -- what else -- a new wall calendar.